To celebrate our new chairs, curtains and the painting of the hall, the management committee would like to invite all residents of Hambledon for tea and cake. It will be our opportunity to say thank you to everyone who has generously donated funds which have enabled all these improvements to be made. 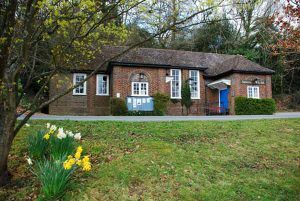 It will also be a chance for everyone in the village (not just donors) to come and see how lovely the hall is looking and to find out about the exciting events which will be happening at the hall over the coming year. We hope to see you there! ← Milford Golf Course Development – deadline for comment.